I'm a fan! 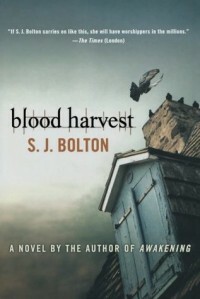 After reading Sacrifice and Awakening, Blood Harvest is her third fantastic book! I love the way her books give you the idea that there must be some sort of creature which is not real. But there always is a logical explanation in the end. I couldn't stop reading Blood Harvest. It was thrilling to the end, as I was trying to solve the case myself.